Great American Cookies 40th Bday Celebration! In 1977, Great American Cookies was founded on an old family Chocolate Chip Cookie recipe. 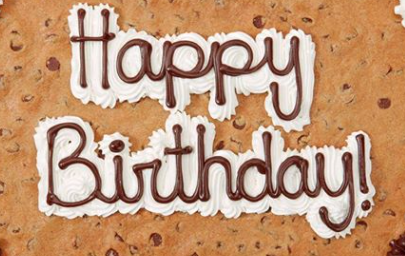 To celebrate their 40th birthday, Great American Cookies at Brookwood Village will be giving away 40 FREE Cookie Cakes to the first 40 customers and offering $0.40 Regular Cookies to all customers all day long! #Cheersto40Years Click here for more info. 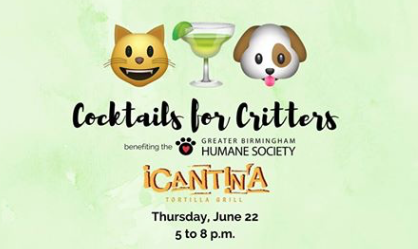 It's a happy hour for paws - join the GBHS at Cantina Tortilla Grill on Thursday, June 22 for Cocktails for Critters! A portion of proceeds will benefit the thousands of animals that the GBHS serves every year. Tickets are not required to attend - just stop by, have a drink and support the animals! Click here for more info. Indoor event. 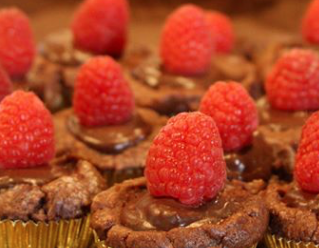 Enjoy an evening of chocoholic delights as the area’s finest bakers, chefs and chocolatiers come together for the third annual Magic City Chocolate Challenge. Taking place at Birmingham Botanical Gardens, from 5:30 pm - 8 pm with live musical entertainment, a silent auction and a chance to wander through some of the most amazing scenery the area offers! Click here for more info. Meet your friends and neighbors for an afternoon of music, food and fun on Thursday, June 22 to enjoy the New Merkle Revue! 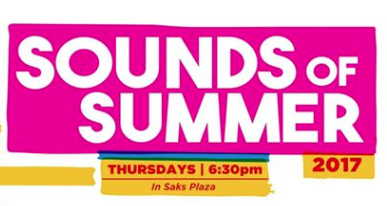 This continues the outdoor concert series in Saks Plaza on consecutive Thursday’s in June. Four leading musical acts from the Birmingham area will perform onstage each week. Plus, fun from Magic City balloon twisting. So bring a chair and have a great time! Click here for more info. 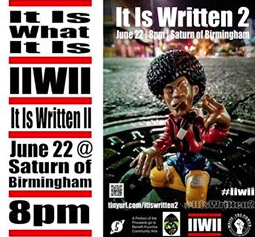 It Was Written will feature 12 writers (emcees, poets, a person that can recite words to music, etc.) that will be given an hour to write 16 bars for a track they have never heard before. Then the participants will be grouped by 3's and called up to the stage to perform, to the track they were just given, the verse they just wrote. While the writers are writing, DJ Jeff C of the Green Seed will perform a set and Dat2 will perform LIVE! Click here for more info. 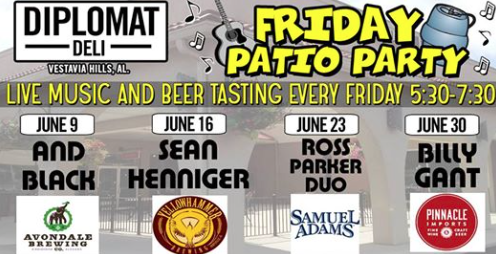 "#Gettothedip" every Friday evening from 6pm-8pm for live music and beer tastings on their wonderful patio. Each week they feature a different brewery and different players for a family friendly evening. As always they will be serving their entire menu. This week features music by the Ross Parker Duo and beer selections from Sam Adams. Click here for more info. (A special shout out to all the Montevallo Purples on this one! #PurpleVictory PV!) 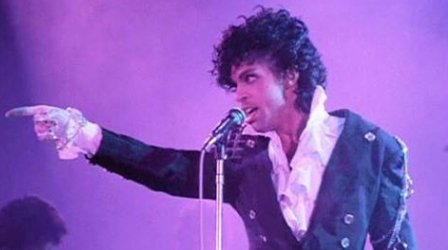 Prince's "Purple Rain" is being reissued in an expanded edition with unreleased songs! To celebrate Seasick is throwing a party! In addition to the freshly remastered album, you can also listen to a treasure trove of never / rarely heard Prince tracks from his legendary Vault (which are also included in this expanded edition of the album)! If that wasn't enough, they will be making Pancakes in honor of both The Purple One and Charlie Murphy. You'll also have a chance to win a bunch of Prince 12" singles! Click here for more info. From illusionists to contortionists, breakdancing to Bollywood, and pop-up opera to body painting, Art On The Rocks is gearing up to be the most dynamic event of the summer! The best of Birmingham’s artists, makers, and musical guests come together in one spot for three nights of exciting performances inspired by art and culture around the world! Click here for more info. 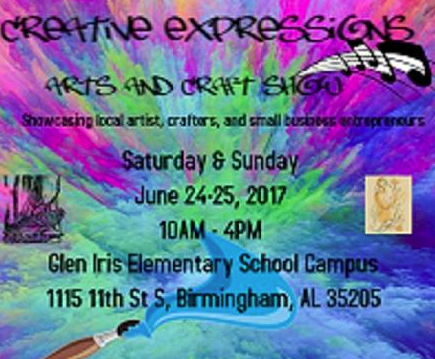 Creative Expressions is an Arts and Crafts show spotlighting local talent in Birmingham, AL and surrounding areas. This two day event will focus on local crafters, artists, and small business entrepreneurs who are working hard to get their craft noticed. There will be music, live performances, demonstrations, food, games, kids activities...and more! Click here for more info. 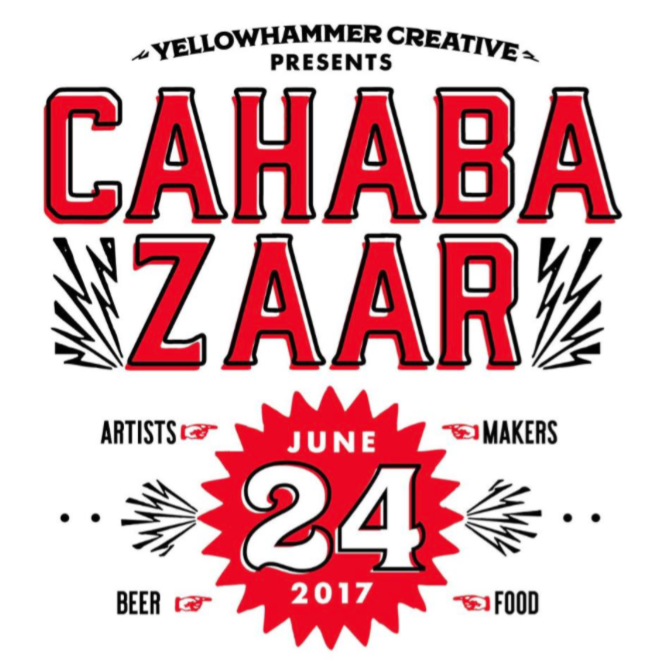 Yellowhammer Creative has teamed up with the fine folks at Cahaba Brewing Company to present the first Cahabazaar! at Cahaba Brewery. Join them for a full day of family fun, great local artist and makers, music, food and great beer. Yellowhammer Creative and Cahaba Brewing Company are looking for the best local artists, makers and non-profits! Click here for more info. Tie One On! 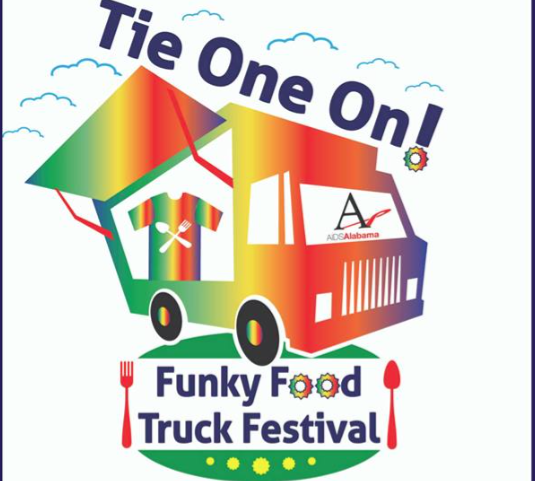 Funky Food Truck Festival! Get ready for a funky good time at TrimTab Brewing Company! They’ll have tasty food from these top Birmingham food trucks: Cantina on Wheels, Eugene's Hot Chicken, NOLA Ice, Shindigs Catering, Steel City Pops, and Wicked Haute Dogs. Fetch - A Treat Truck for Dogs will have treats for your four-legged friend(s) and the Greater Birmingham Humane Society will be there with adoptable dogs. Purchase an event t-shirt to tie-dye while sipping on refreshing TrimTab brews. Proceeds benefit AIDS Alabama's programs. Don't miss this funky event! Click here for more info. 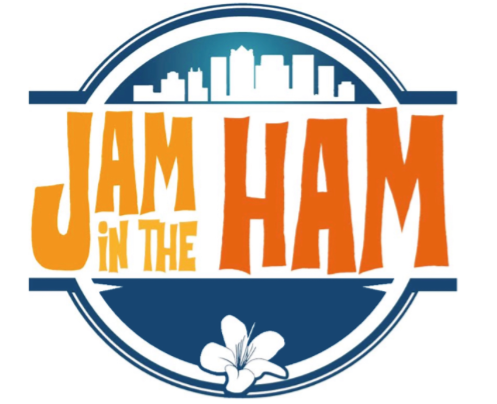 Saturday, June 24th - Jam in the Ham presents the third annual festival featuring Little Raine Band, Winston Ramble, Soul Mechanic, DirtyGirl, Space Phunk Express, and LilBigJack. Head over to Zydeco for some good times and great music! Click here for more info. 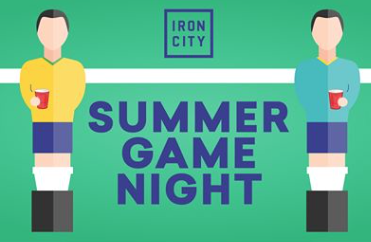 Ignore the fact that mamma says Foosball is the DEVIL, and head over to Iron City for Summer Game Night! Challenge your friends to video games on the big screen, foosball, double-shot basketball, water pong, putt putt golf, kickpool, arcade games and more! Click here for more info. Don’t miss what is fast becoming a favorite B’ham market! 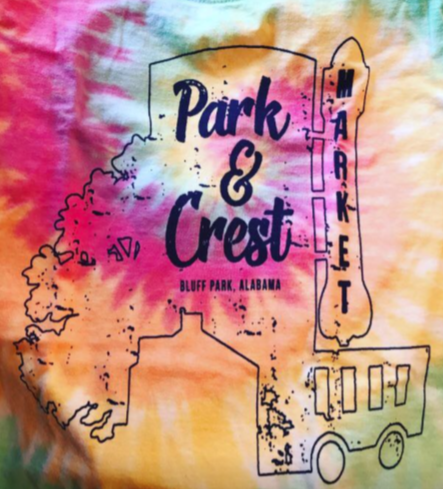 Head to Bluff Park and enjoy local makers & artists, BBQ, and the best regional music brought to you by Bluff Park's award winning listening room - Moonlight On The Mountain. Don’t forget to buy some boiled peanuts while you’re there! Click here for more info. 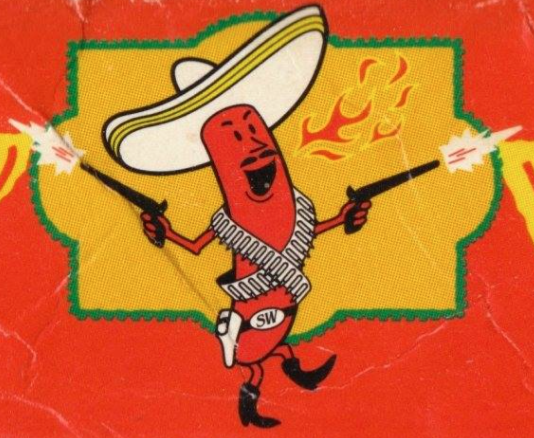 Hot Diggity Dogs is opening up on Sunday just this once, to host a comedy show! Rust Belt pals Sam Rager and Keith Bergman are coming through town, and they're joined by local hero Wes Van Horn and Huntsville comic Scott Eason, plus special guests. There'll be beer for sale, and limited food menu available. Click here for more info.